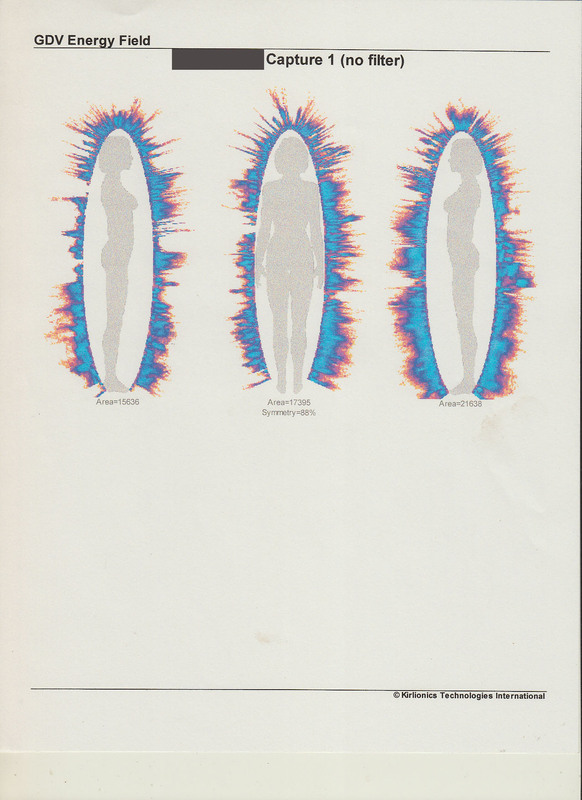 These are some additional captures using the kirlian diagnostic tools from psy-tek labs. This person had four attachments. 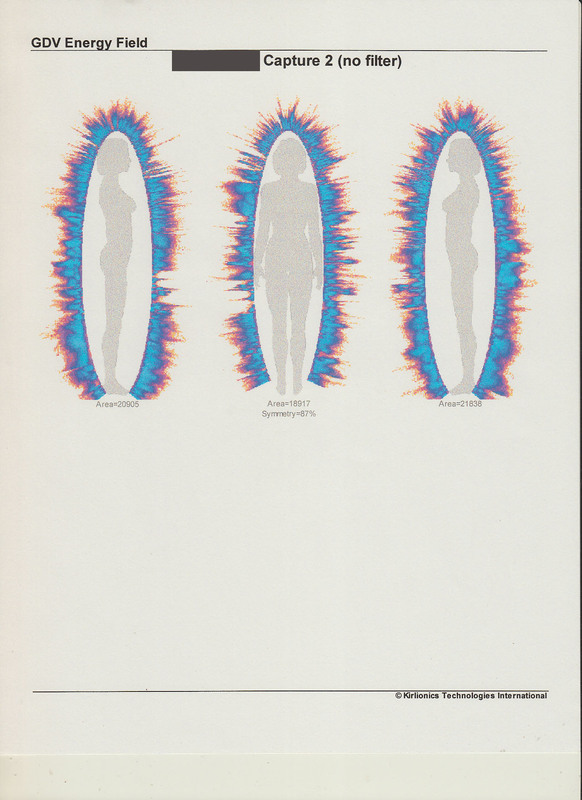 Notice how porous the energy field is in the beginning. This is how the attachments had entered the energetic domain. From there they start to influence and compromise the individual from within. After the removal the field starts to strengthen as you see in the second capture. The third capture is one week after the removal and notice how strong the field is. This is how a person should be.